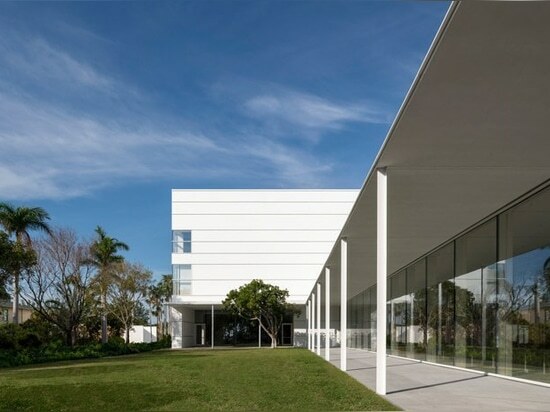 the norton museum of art in west palm beach, florida, debuts its transformation by foster + partners. 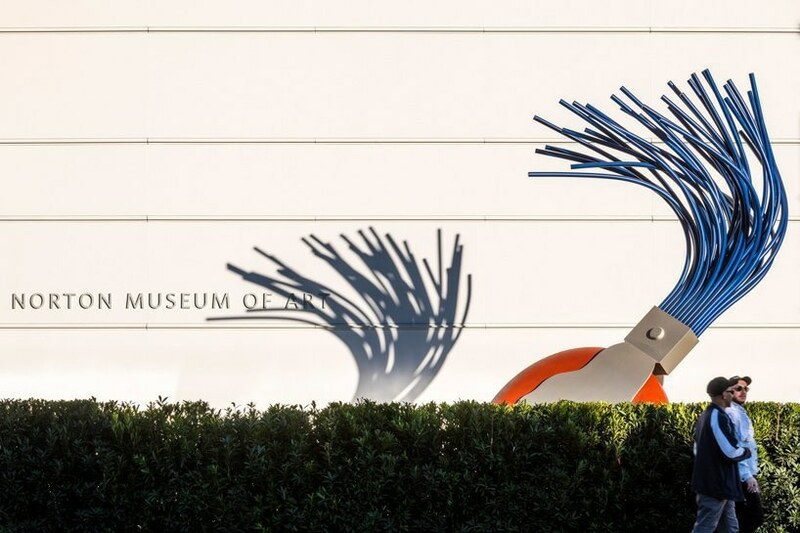 the museum’s expansion includes the addition of new galleries as well as facilities for its visitors, and restoration of the axial organization and circulatory clarity of the original 1940s-era building. 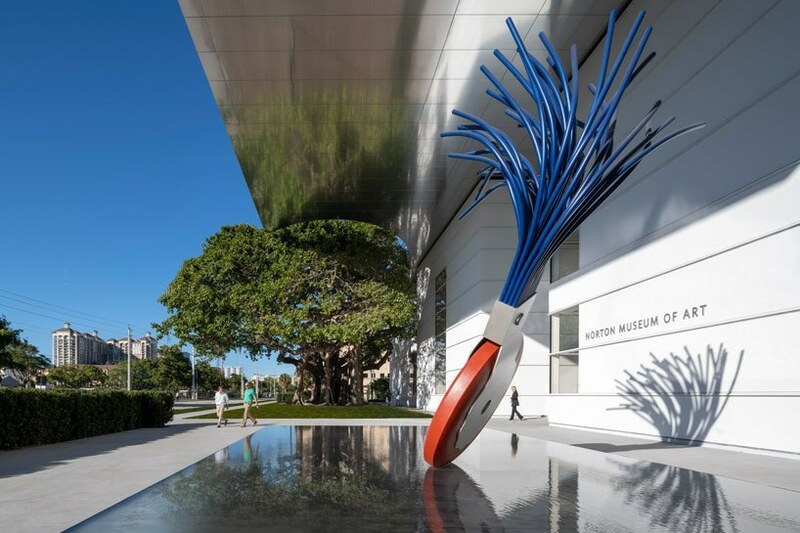 the new museum is no longer surrounded by car parking, but is now the pinnacle of an extensive, sub-tropical garden comprising a magnificent collection of contemporary sculpture. 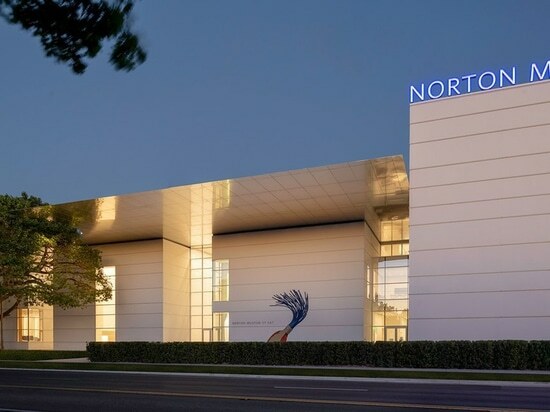 the museum will open to the public on february 9, 2019 with eight special exhibitions.the norton was built in 1941 as an elegant series of art deco-inspired single-story pavilions around a central courtyard. a later expansion broke the organizational symmetry, undermining axial configuration with the relocation of the main entrance to the side of the building. the new masterplan by foster + partners restores this axial layout and the clarity of the main circulation, and introduces new exhibition galleries and education spaces. these new facilities include an auditorium, shop, restaurant and a ‘great hall’ social gathering space, as well as the lawn, appropriate for screening films outdoors. these facilities aim to attract a broader local and international audience. the design further peels away layers of previous extensions to reveal the original fabric of the historic galleries. 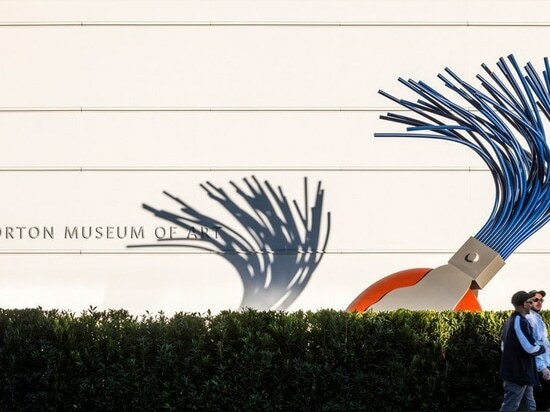 a new street facing entrance to the west redefines the museum’s connection to the city. one of the primary influences of the design of the new entrance plaza is a monumental banyan tree that had been planted when the museum was first built. 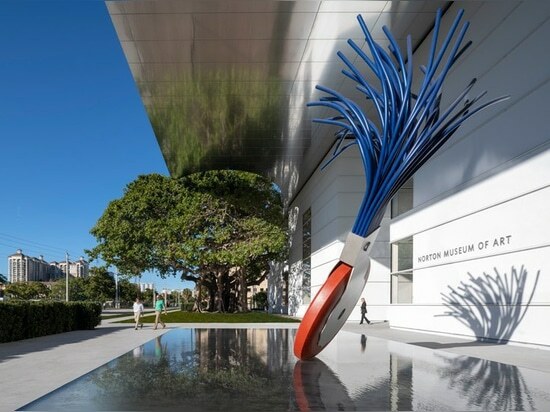 the extension’s new shimmering roof sweeps around the tree canopy, generating a cohesive composition while sheltering the entrance plaza. 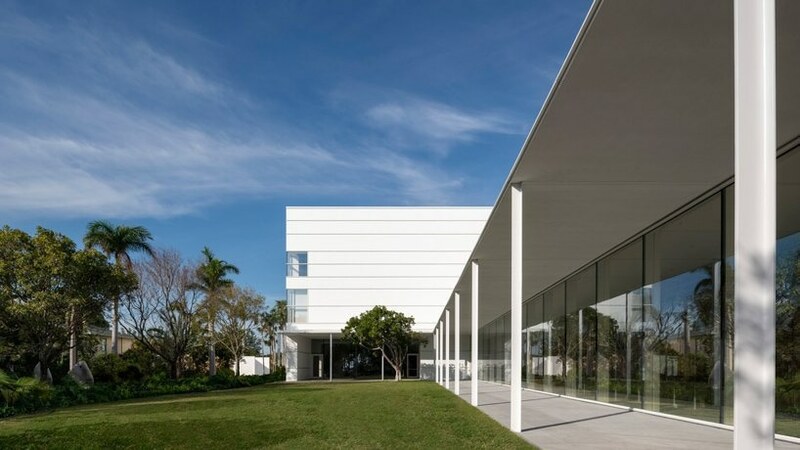 behind the canopy, three new double-height pavilions mediate the low-rise galleries and a pre-existing three-story wing, all unified with a shared palette of white, horizontally-banded stucco. 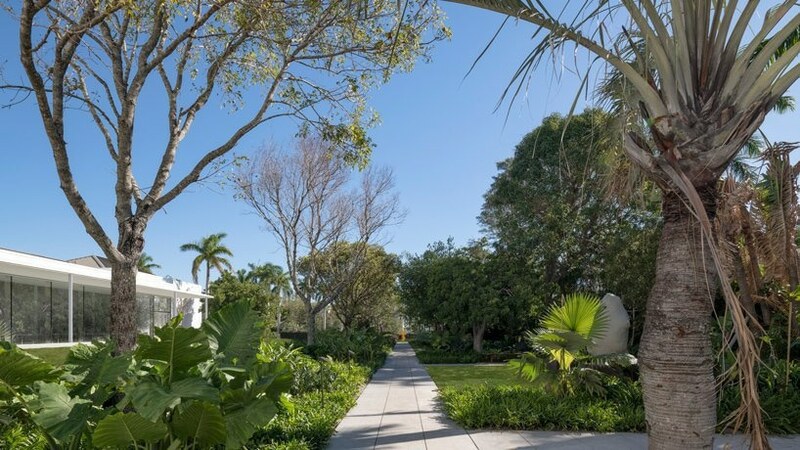 the garden is an integral part of the masterplan, enhancing the experience of art by reinforcing the relationship between the building and the rich florida landscape. 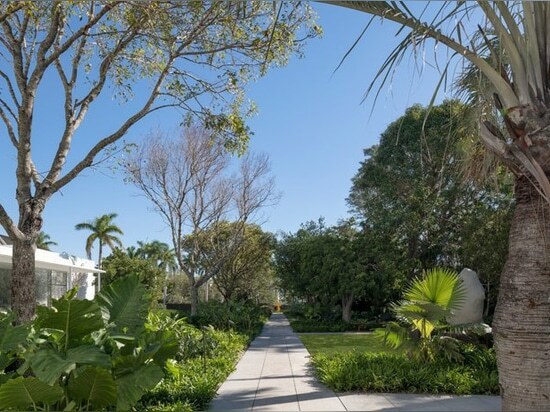 the landscaping of the gardens incorporate native trees and flowers to provide shaded walkways, and an intimate setting for visitors to enjoy the artwork. 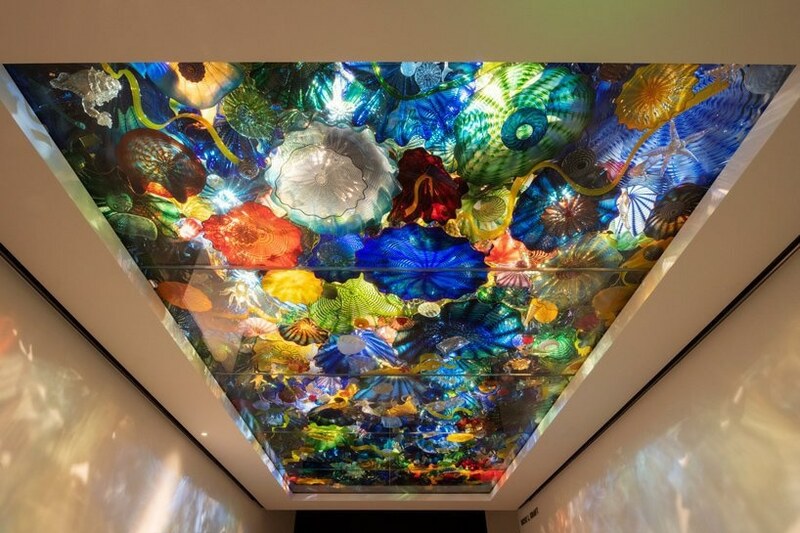 the landscape forms the backdrop of the museum’s ongoing education program for schoolchildren, encouraging a greater awareness of the collection and florida’s environmental heritage. 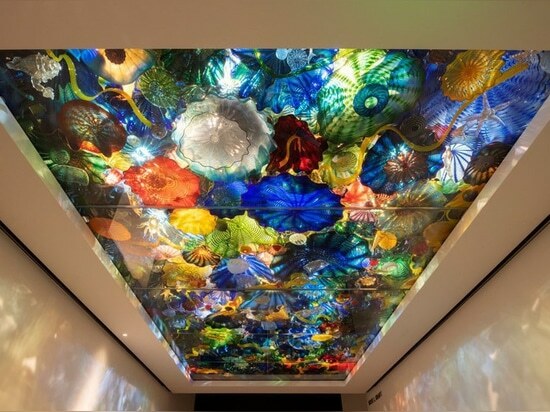 the garden provides a sustainable backdrop for displaying art, introducing a substantial increase in display space. see designboom’s previous coverage of the project here.